Jack definitely leaped over the internet candlestick with this remarkable app through the Google Marketplace. It’s called Nimble. That’s right, simply ‘nimble,’ but it’s a suitable name, because one of its most unique features earns it the rating you’ll read. Here’s a hint for you, though: Think CRM. Optimized for social media. Whet your appetite, yet? After gathering all your auto attendants, phone systems, and whatnot, for the sake of your small business, you have to realize one important thing: your business won’t thrive without excellent customer relationship management. Also known in the thrones of the corporate world as CRM. Forget the fact that currently Nimble is a free application available for use in your business, helping you manage information on your customers. 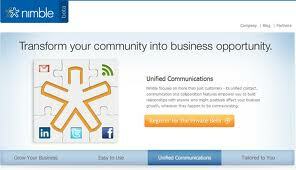 Try the integration of social media. 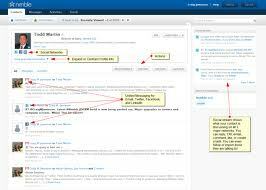 Nimble actually combines social networks — like Facebook, Twitter, LinkedIn, Gmail, and Outlook contacts. With the use of this app, you’ve got consolidation at its best. Organization in its top form. And for your business, top form is crucial. You can literally send messages using Nimble to go anywhere — any social network integrated with the app. No more opening new windows to log in to another application or e-mail service. It’s all there for you on Nimble. Moreover, you have immediate interaction with activities, much like a live feed as in Facebook — only it’s optimized for your business. 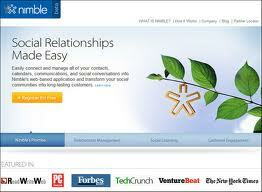 Thanks to Nimble, you know exactly what’s going on in your business on a customer relationship level. And you can’t beat that level of company progress. It’s like knowing exactly what your customers want right before they enter your door. In going further, the buck doesn’t stop at the features of this app. Try lead generation, customer service in the sense that you can answer questions from your customers right on the app, and even marketing support. Not only does Nimble nurture current customer prospects — it helps you find new ones and instantly inputs them into your consumer database. You can’t spell it out anymore than that. The social game, that is. This, of course, can be the slight challenge with Nimble in the sense that it supports full-on integration with social media. So tap into all of it — Facebook, Google Mail, LinkedIn, Twitter. The challenge is all of that social media varies and operates differently. So learning them can take some time. But once you do, managing them is easy — thanks to Nimble. Just ask Jack! The candlestick has remained unscathed. So shall your business.